This photo was photographed during an engagement session at the Everett Rd Covered Bridge in Richfield, Ohio. This area lies just south of Cleveland, Ohio but north of Akron, Ohio. The Everett Rd. Bridge area not only features this beautiful coverage bridge over the Cuyahoga River, but also beautiful nature trails to utilize for any photography session. 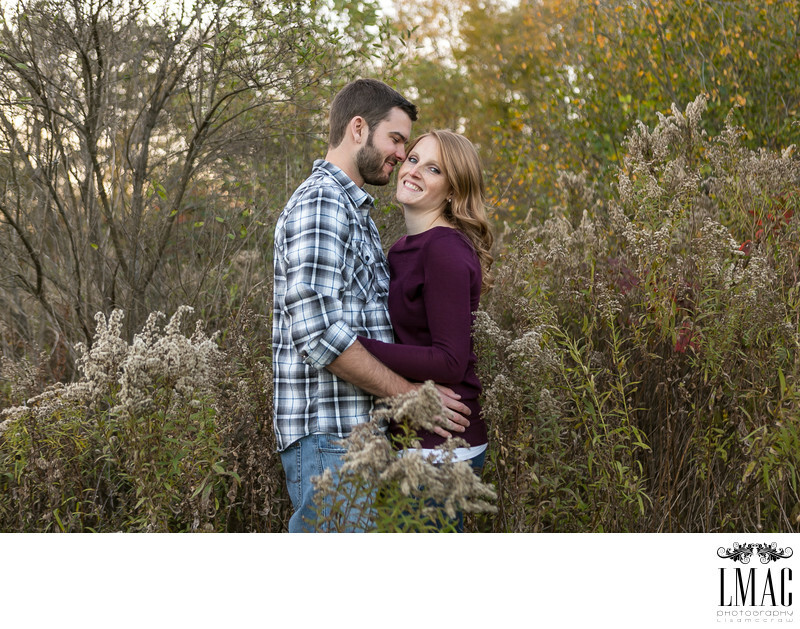 This couple opted to a fall engagement session and the fall colors were beautiful in most all of the photos. However, this photo featured a beautiful field of wild flowers. Nature inspired engagement sessions are always a favorite of both LMAC Photography and brides and grooms. The always encourage brides and grooms to select locations that are meaning for them. We were so happy to also photograph the wedding of this beautiful bride and groom.